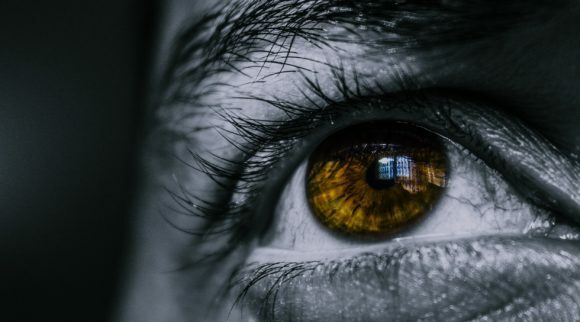 Your eyes are the organs that are the source of power for one of your five senses, and something that can be taken for granted until something like an eyelid allergy develops. After all, it’s easy to not fully appreciate something you have used flawlessly for your entire life. When things go wrong, it is much easier for us to appreciate something as important, yet fragile, as our eyes. Having an eyelid allergy, or commonly known as allergic conjunctivitis, can be an overwhelming and irritating experience. An eyelid allergy greatly affects your ability to use your eyes normally. 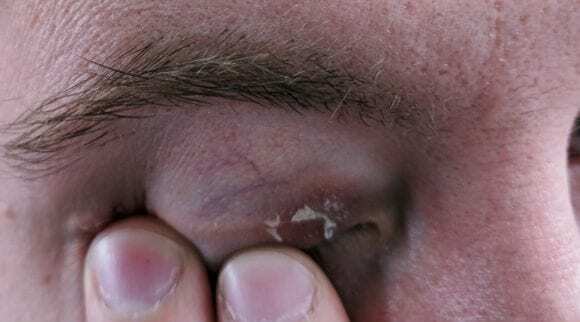 On this page, we will discuss everything you need to know about eyelid allergies, and eventually, we’ll help you determine some top treatment options. 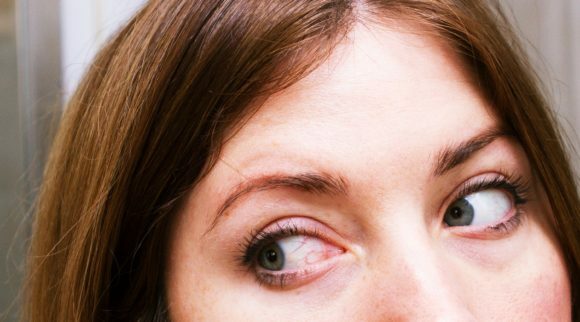 Before we can discuss eyelid allergy treatment, there are certain things that you need to first know and be aware of. Specifically, you need to know whether or not your problems are indeed caused by allergies, or something completely different. Unless you are confident that your problem is allergies, you should start by considering a visit to the doctor for a professional diagnosis. However, this may not always be your first choice. 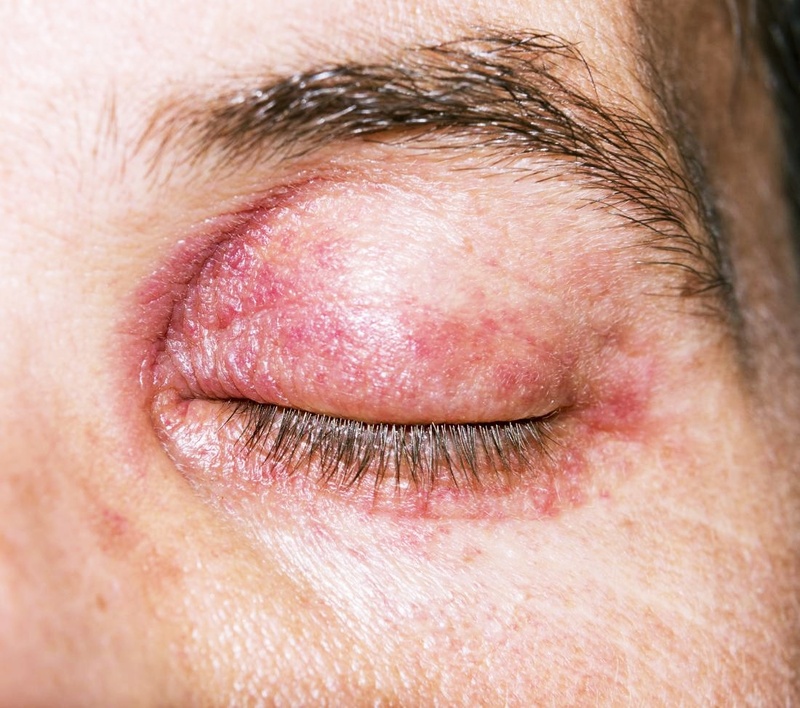 Accordingly, let’s break down some of the most important pieces of background knowledge that can help you determine if you have an eyelid allergy. Many people who have allergies are already aware of what causes their problems, and received a diagnosis at a young age. Right around the problem was first noticed. However, there are many times when people aren’t aware of a certain type of allergies that they have. This can be due to many reasons, like moving to a new location. It’s important to understand that it is also possible to develop allergies later on in life. Accordingly, if you have already tested yourself for common causes of allergies listed above several years ago, your immune system may have suddenly mistakenly started to identify a particular substance as harmful. The response of your body to fight something which would otherwise be harmless is what causes your eyelid allergy symptoms. As we can see, there are many potential causes that you need to account for. Many people who experience allergies only encounter them on a temporary basis. Then, there are those who have to deal with symptoms on a daily basis. Of course, it is much more preferable to have seasonal allergies, since there is only a small amount of time that you will need to deal with them. 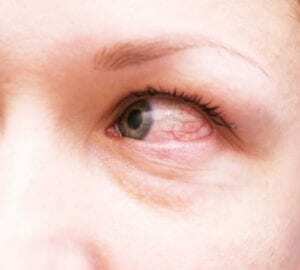 If you only have eyelid allergy problems which come and go during certain parts of the year, such as the summertime, you likely are allergic to something which only temporarily comes around, like pollen. However, if you live in a climate where vegetation thrives all year, this may not be the specific cause. However, those with seasonal eyelid allergies are usually only subject to a limited number of potential causes. It can be much more strenuous to deal with eyelid allergies which are perennial. After all, these are the allergies that don’t go away without eliminating the root cause. In many instances, perennial allergies are caused by things that are constantly in close contact with you. Common causes for perennial allergies are things like cockroaches and dust. If you can take away the cause, you can usually also minimize the occurrence of symptoms. Although there is clearly no form of medical advice that should replace that of a professional in their respective field, most people who experience an eye or eyelid allergy will likely be able to handle things on their own from home. Of course, this is something that also heavily depends on the severity of the symptoms. People who experience an eyelid allergy may not necessarily know that their problem is indeed caused by an allergy right away. The most initial thing that you may experience are the negative symptoms. 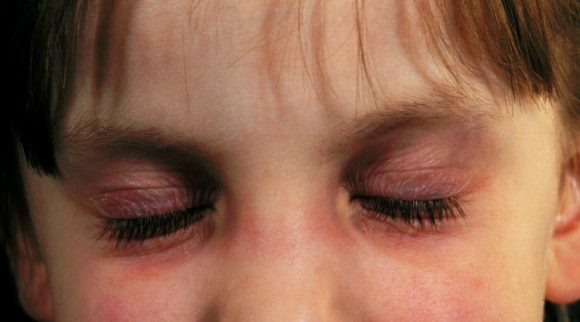 Accordingly, it’s important for us to identify the main eyelid allergy symptoms. This way, you can be more confident that you treat the right condition. If you notice symptoms like the ones listed above, it is possible that you are indeed suffering from an eyelid allergy. However, it’s also important to understand that many of the above symptoms can actually be caused by an entirely different problem altogether. When dealing with issues like the ones above, it is possible that you only treat the symptoms without ever dealing with the cause of the issue. 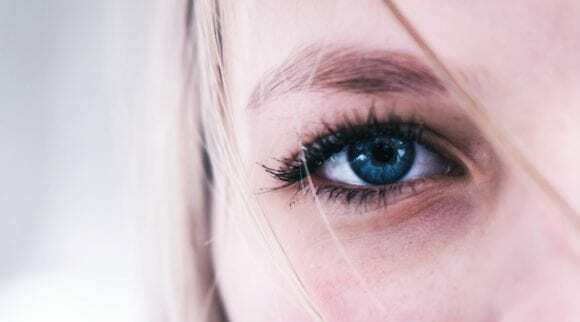 Now that we have broken down some of the most important background information regarding eyelid allergy causes and symptoms, let’s go ahead and discuss some of the best ways that you can start treating yourself from home. Although visiting a doctor may provide you with some of the quickest and most effective results for your personal case, there is nothing wrong with trying to handle things on your own. Below, we will review 7 different products that you should consider if you want to fight your eyelid allergy symptoms straight from home. Some of the most difficult periods of the day for those who have eyelids allergies is when their symptoms start to spiral out of control. When it matters most, having something that can provide instant relief will be one of the most effective tools in the fight against your allergies. Ideally, this treatment tool is also something you can have around indefinitely. One of the best reasons to keep a cooling eye mask like this one around for fighting allergies is that they are very affordable and will last you indefinitely. Typically, a product like this can last as long as you are able to keep it clean and intact. In other words, this is one of the absolute most affordable eyelid allergy treatments for those on a very tight budget. This product is very simple and straightforward to use. Start by cleaning off the mask and then placing it inside your freezer. As you notice your symptoms starting to get out of control, take it out of the freezer, lie down, and then wear the mask for 15 – 20 minutes. Although this will definitely not eliminate your allergies altogether, it is always very therapeutic and refreshing. Outside of the most common eyelid allergy symptoms, like the ones described above, this product is also effective against headaches and migraines. Those who occasionally develop dark circles underneath your eyes can also use the mask to reduce these dark spots with this mask. This mask is really versatile and great at providing relief for many potential symptoms and problems. 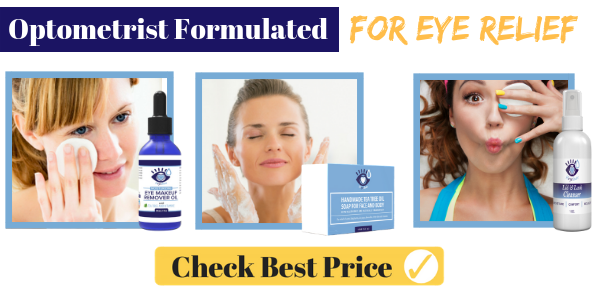 Perhaps the most noteworthy special feature of this eyelid allergy product is that you can receive quick and effective relief for your eyelid allergy symptoms without constantly needing to purchase a new set of pills, essential oils, and so on. It is also just as affordable as many other treatment options, which need to be constantly replenished. 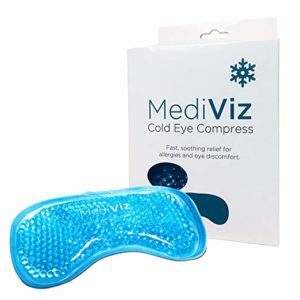 Although there are clearly other products that can handle the root cause of your eyelid allergy symptoms much more effectively than this product can, anybody who wants to have quick relief of painful and irritating symptoms will love having a cool eye mask like this one around. This product has the potential to last months to years and can provide relief for various different problems outside of allergies. Many people who want to fight their eyelid allergy symptoms simply do not like or want to take allergy pills. Since there are often side effects (like drowsiness) that are common in these sorts of products, many would prefer to use a treatment that doesn’t result in any unwanted occurrences like this. One of the best natural remedies for eyelid allergies for these folks is an essential oil like this one. This product is an essential oil, which contains tea tree oil, jojoba seed oil, leaf oil, and grape seed oil. Put together, these ingredients are put together into a bottle with an included dropper. To treat your symptoms, you will also need cotton swabs, Q-tips, or something similar. Simply apply 5 drops of essential oil to your chosen applicator, and gently wipe it along the affected areas. This is typically best done right before bed. If you suspect that you may have a more complicated issue than normal eyelid allergies, such as blepharitis, then this product may also be capable of being used for your specific problem. Of course, it is very effective as fighting eyelid allergy symptoms like itchiness, dryness, inflammation, and pain. 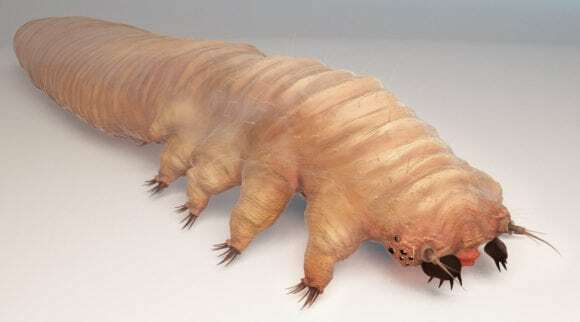 Those who have a problem like demodex blepharitis can use this product for naturally killing eyelid mites. This is one of the best products for treating an eyelid allergy and contains powerful ingredients which can tackle other issues like blepharitis and styes. The best candidate for this product is someone who wants to use natural ingredients and remedies, someone who also has a form of blepharitis, or someone who simply wants a powerful remedy with quick results. 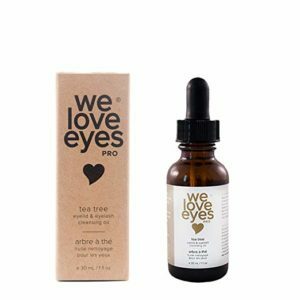 As a whole, this product is very effective and contains natural ingredients that are great at relieving eye allergy symptoms. Best of all, it works to reverse any damage to the skin on your eyelids and keeps your pores clean. Since it is reasonably priced and comes with a pretty generous supply in each order, this will be a great product to keep around in your medicine cupboard if your symptoms subside. Some of the best products to treat eyelid allergy symptoms are those you may already be using for other purposes. This product, as an example, is a very effective makeup remover. However, many of the same ingredients that are effective at doing tasks like this can also work really well as fighting allergy problems. One of the most attractive qualities of a product like this is that it comes in individually-wrapped packets for each treatment. Best of all, it still comes at a price that ends up being very affordable when you calculate how much each treatment costs. They can also be purchased in bulk sizes to save money and space out the time between each order. One of the best features of this product is that each treatment comes individually-wrapped. To treat your eyelid allergies, you will simply open up one packet and use the towelette that is inside to wipe down and clean your eyes. For best results, it is suggested to use one towelette on each eyelid. Outside of the immediate eyelid allergy symptoms described above, this product can also be used to relieve things like computer vision syndrome, blepharitis, styes, dacryocystitis, and even uncomfortable side effects from using contact lenses. Although the relief that you can experience with this product is very quick and effective, it clearly shouldn’t be seen as any form of comprehensive cure for any of these conditions. There are many products that require some form of work or additional products in order for you do treatment on your own. Whether you need to spend time preparing your treatment or have other items in order to properly use your medicine. Since this product comes in individually wrapped packages, you can easily take a treatment like this one on the go, without portioning your treatment, using a freezer, and so on. 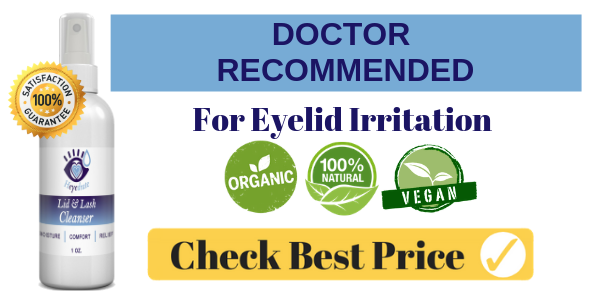 With a pretty effective set of ingredients for fighting an array of eyelid problems, including allergies, this product is pretty reasonably priced and can come in bulk packages. Since each treatment is individually wrapped and doesn’t require anything else to apply it by yourself, it is very easy to take this product on the go. The towelettes can also be used to remove makeup, and they work to repair and heal any damage to your eyelids. 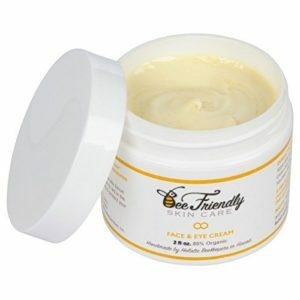 Another great means of taking care of your eyelid allergy symptoms is to use a natural moisturizing cream. This product stands out from many of the other eyelid allergy treatments in that it solely contains natural and organic ingredients. Accordingly, anybody who wants to take care of their symptoms without resorting to harmful chemicals and pills with unwanted side effects will love products like this one. Although this is not the most affordable product that you can find for fighting your eyelid allergy symptoms, not all products on the market contain that as many natural organic ingredients. This is also a product that is different than many other types of products in this category since it has a unique form of treatment and a versatile range of potential uses. This product is a moisturizer which contains many natural and organic ingredients and is completely free of chemicals, GMOs, and any other potentially harmful substances. Ingredients like organic olive oil, Vitamin A, and Vitamin E are very healthy for your skin when put together. To apply the product, simply lather up a small amount and apply daily as you notice your symptoms. This moisturizer is both capable of fighting allergy symptoms, along with various other cosmetic issues on your face. This is a great product to reverse signs of aging. It can also fight problems like dark circles, dry skin and flaking, clogged pores and acne, and so on. This product can also be simply used as a daily moisturizer. If you already like to use a daily moisturizer, a product like this will really stand out as one of your overall top options. Especially if you are already using a moisturizer which is simply not doing the job. 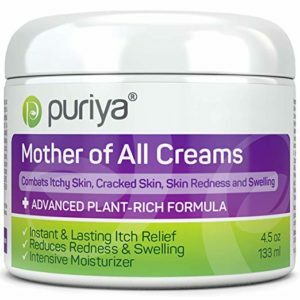 This product will effectively replace the need for any other type of face moisturizer while simultaneously tackling your allergy symptoms. This product also contains ingredients that are solely natural and completely organic. As a whole, this is a wonderful product to consider if you want to use a moisturizer. Since there are many different ways to handle eyelid allergy symptoms, choosing a moisturizer like this one with natural and organic ingredients will prove to be just as effective as many of the other options that are available. Best of all, this product contains ingredients that are capable of much more than simply handling your allergy symptoms. This is why many people may even choose to use this as a daily moisturizer. If you have struggled with eyelid allergy symptoms during times of the year where you also like to go out and use cosmetics, having a product that can be used for both fighting your symptoms and cleaning off your makeup is a wonderful option. 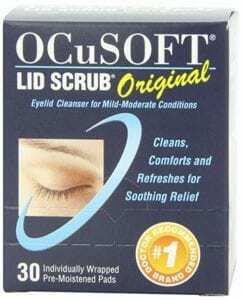 This is a wonderful choice for people like this since this product both effectively removes makeup and can be used to relieving uncomfortable eyelid allergy symptoms as they develop. This is a wonderful product to consider taking with you on the go since it comes with 30 individually wrapped towelettes for use whenever they are needed. When you break down the cost for each treatment that you can receive with this product, you may find this to be the most affordable option for the kind of treatment you desire. As mentioned, this product comes in individually wrapped portions for each treatment. This makes the process of treatment very simple. Start by cleaning off your face, and then use the towelette on the affected areas whenever your symptoms start to develop. This is a great means of treating yourself when you are on the go since you don’t need to haul the entire package with you. 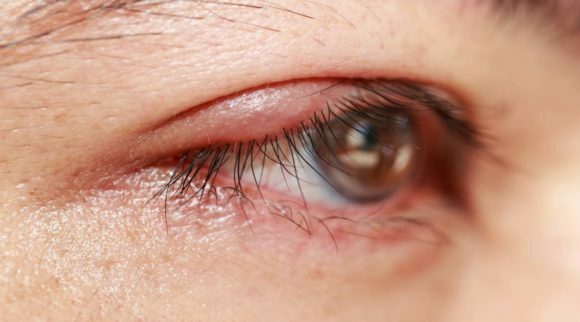 If you notice that your eyes become dry, itchy, or irritated from your eyelid allergy symptoms, this is product will be a very effective means of treating your symptoms. As briefly discussed, you can also use a product like this for removing your makeup at the end of the day. Accordingly, this may even turn into your go-to product if you struggle with eyelid allergy symptoms but still want to wear your makeup every day. 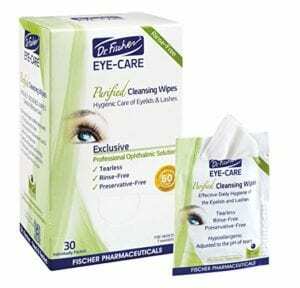 Many products you can use for eyelid allergies are not very easy to take on the go. Additionally, it can often be hard to decide what the proper treatment dosage is when there are no clear instructions. Since this product separates each treatment into a separate package, this product is both very easy to use and take on the go. Although there are clearly better and more versatile products for tackling eyelid allergy symptoms and other conditions simultaneously, this product stands out from its competitors since it is very affordable and easy to take treatments on the go. There are also bulk sizes if you want to receive more than just 30 towelettes in each of your orders. This is one of the most versatile and powerful eyelid wipes to consider getting. This is especially true if you suspect (or know) that you have additional complications like infection, blepharitis, and pink eye. 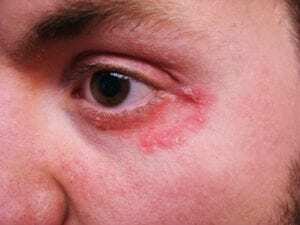 Designed to simultaneously handle problems like this and any sort of eyelid allergy symptoms that you have, this treatment is significantly strong. What really stands out with this product is that it is both very effective, but still manages to come with generous portions in each package and an affordable price. In a bulk order of 3 boxes, you can receive 90 individually wrapped treatments. Best of all, the price that you pay for each treatment is very reasonable and affordable. If you want a product that you can use for fighting your eyelid allergy symptoms which comes in convenient individually-wrapped packages, you might already be willing to pay a slightly higher price. However, this product proves that there are wonderful choices like this for you to consider that are also very affordable. Of course, the process of application is as simple as gently wiping a towelette across your eyelids every day or so. If you suffer symptoms like the common eyelid allergy symptoms described above, this product will be an effective agent in your fight for relief. Additionally, anybody who also has a problem like blepharitis, pink eye, seborrheic dermatitis, or bacterial infection can use this product as part of their treatment. This product is also designed to fight dryness symptoms that are the result of spending too much time on the computer. One of the most important things to note right off the bat about this product is that it is both very affordable and easily portioned into individual treatments since each towelette is individually wrapped. It also comes in bulk sizes, which you can expect to last you around 3 months. This is also a little more versatile than many other similar products and can fight symptoms associated with a diverse array of potential complications. If you like the idea of using individually wrapped towelettes for fighting your allergies, this is another great option. Coming at an affordable price, a generous quantity of treatments, and a powerful recipe for fighting many different complications, this product is both reasonably priced and effective. If you order in bulk sizes, you can get one of the absolute best prices for each treatment that is possible. If you want one of the most natural means to tackle your allergies, and do not wish to resort to any sort of chemical treatment, then you will need to find a product with the absolute best plant-based ingredients for fighting your symptoms. As you probably have discovered, this isn’t always entirely easy to do. However, this product illustrates that it is very possible to provide relief for many different problems, not just allergies, for a reasonable price and with completely natural ingredients. If you want to get a moisturizer which can be safely used along the eyelids, and other parts of the face, you usually need to also be prepared to pay a slightly higher price up front. Although this is clearly not the most affordable price for fighting an eyelid allergy, it also comes in 4.5-ounce jars, which is a little more generous than what we typically find from their competitors. This is a product that works like a typical lotion product, except that it contains ingredients which can fight eye allergies and various other complications. To apply the product, simply gather up a small portion of lotion and apply it to the affected area. It is recommended that you test the product out on something like your wrist or legs before using it daily to ensure that it won’t cause further problems. In some cases, there are people whose symptoms become worse after using this product. This moisturizer is designed with symptoms like itchiness, cracked skin, swelling, and redness in mind. This can be used to relieve symptoms from those with allergies, eczema, rosacea, psoriasis, dermatitis, and even shingles and rashes. This means that this product is able to relieve symptoms from various conditions that their competitors don’t. Most importantly, this product contains natural ingredients for stimulating the production of fresh and healthy new skin. This product is designed to fight your eyelid allergy symptoms with ingredients that are completely natural. The cream includes ingredients from 13 natural skin superfoods to be able to compete with the many other competitors that use chemicals that come along with undesired side effects. This product has a 180-day money back guarantee, which really illustrates its track record of success and the high level of confidence from the manufacturer as to how effective it is. This product is another wonderful choice for fighting your eyelid allergy symptoms and can also be effectively used to relieve the symptoms from many other advanced complications. Since it comes with a pretty generous portion in order, it will last you a pretty reasonable amount of time. It is also loaded with many natural plant-based ingredients that are very powerful at fighting your symptoms. 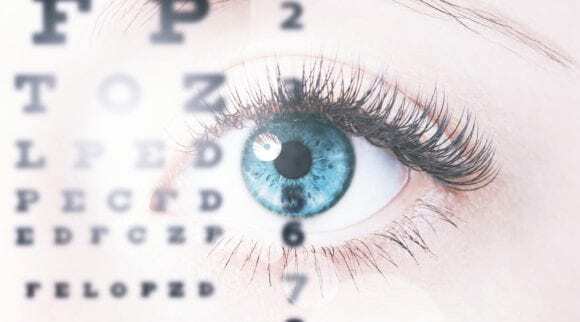 Having an eyelid allergy (allergic conjunctivitis) problem can be a very uncomfortable and humiliating experience, especially if you develop cosmetic issues along with any uncomfortable itchiness or pain. If you are sure that your problems are the result of allergies, then you will likely be able to tackle the issues from home. Usually, a great product for just about anybody with uncomfortable symptoms around their eyes is the Cooling Eye Mask for Eyelid Allergy Symptoms since it is the longest lasting treatment that is around. However, using a cooling mask along with a product like the All-Natural Tea Tree Eyelid Cleansing Oil or the Puriya Moisturizing Cream would be ideal for those who really want to ensure that their eyelid allergy symptoms can be relieved at will.